Compatible with Mil-Spec stocks, this kit contains all the necessary parts to mount a stock assembly onto your lower receiver. Six position buffer tube is machined from 7075 T6 aluminum to Mil-Spec dimensions with a Type III hardcoat anodized finish. Machined, high carbon steel castle nut is heat treated for extra strength and given a phosphate finish for durability. Kit also contains a standard 3 oz. 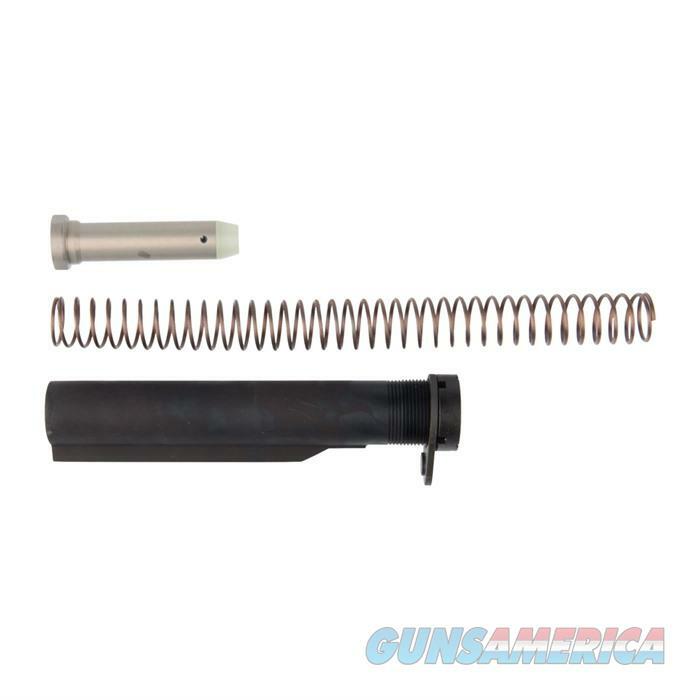 carbine buffer and a carbine action spring made of high-tensile steel.